Do these foxgloves need tidying up? 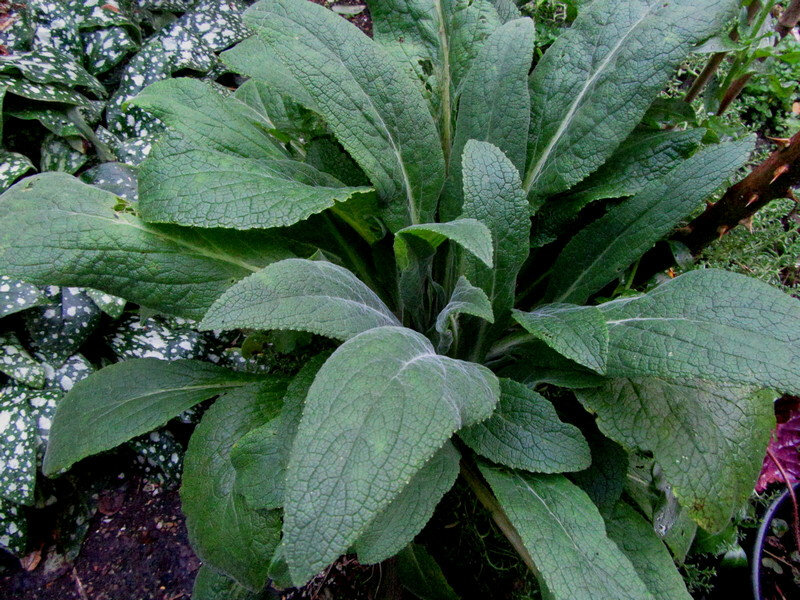 I have some ordinary foxgloves and some Perennial ones (Digitalis Mertonensis) and they are looking quite tatty. Does the foliage need chopping back? and will it create new fresh foliage if I do? Also, is it just me or do foxglove rosettes grow to quite a size?? 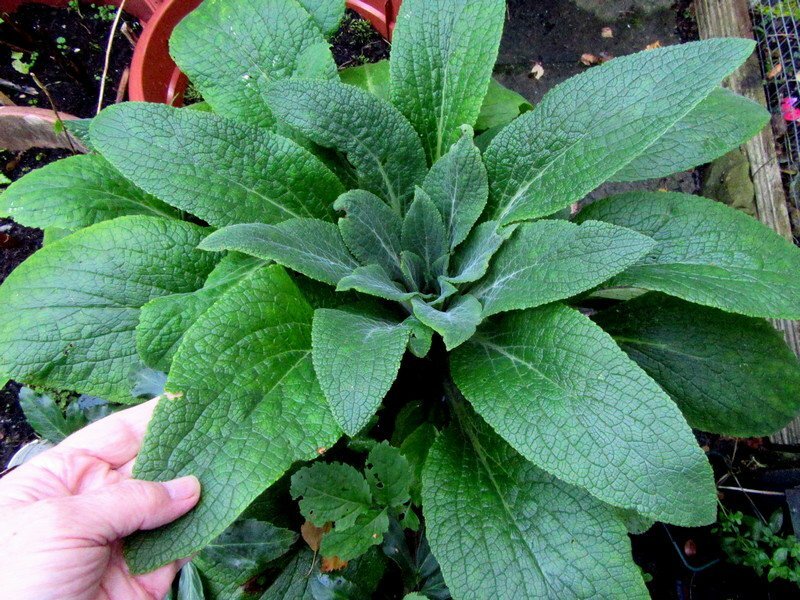 My foxglove rosettes take up a huge amount of space in the border and their leaves flop all over the other plants! I thought they were quite compact apart from their tall flower heads?? Well I do hope so because they really needs to earn that huge space they are taking up Im looking forward to seeing Mertonensis flower because last year they were new plants and I got them in the ground too late, which meant I only had one little flower spike. My foxgloves (planted last year) look just the same as this one CraighB and although they look messy I agree with Dove that this is quite normal and I intend tidying them up once all chance of frost has passed. I am quite sure that some of the tiniest insects will have made their home under those leaves and I wouldn't want to disturb them whilst the weather could turn cold again. 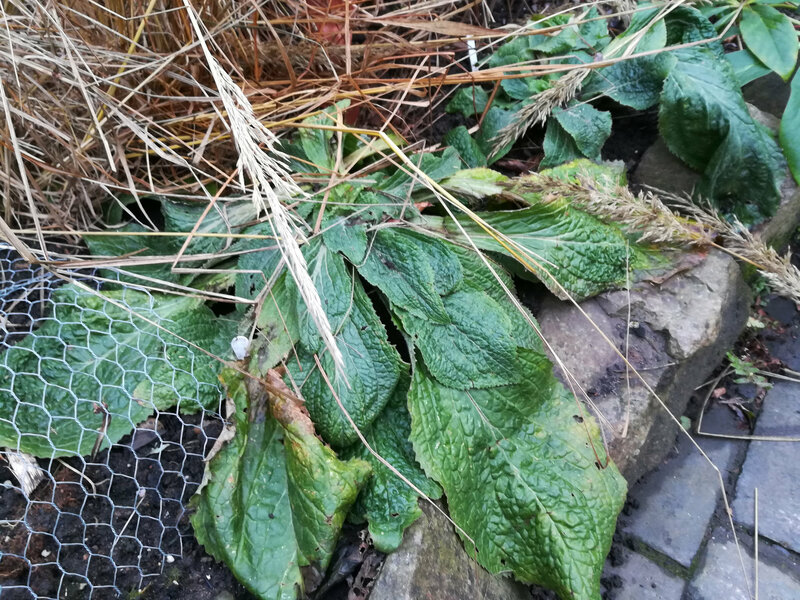 They surely do take up lots of space,..i have quite a few Foxgloves and Verbascum which self seeded and at present must be moved,..since they seeded i did cut off old leaves and they look as below at present. Crikey NultyPhilip, those are fine plants, mine look nothing like that - more as in Craig's picture above. Are you growing them outdoors, in pots or perhaps in a really sheltered spot in your garden? They should give you some fine flower spikes in the summer. Can you post a picture when they are in flower? I was quite pleased with my foxgloves until I saw @nultyphilip224s! Will look forward to seeing them in flower. I am always picking up tips from @nultyphilip224. He is a very knowledgable gardener and a real gentleman. I love his cottage garden thread. I have some monster foxgloves growing in the weirdest places, such as in the gravel behind the bins. I am just leaving them to it. Yes they are definitely as big as [email protected] however yours look absolutely perfect! Mine are almost flat which is quite odd! Maybe that's just how the Mertonensis ones are? When they are in the ground the first leaves do tend to get tatty. If they are in a pot or ground that falls away they do not seem to get as badly bent or damaged. I mostly leave them unless they look very bad or are covering something more important. (One lovely big one has covered where a trillium will come up here). Not only insects that get under them, slugs quite like to hide there too. Those strawberry Mertonensis ones are lovely, good luck hope you will be able to post pictures later on. I didn't find my mertonensis were very perennial... they gave up after a couple of flowerings. Could be my soil, of course. I also grow the yellow-flowered Digitalis grandiflora, which is genuinely perennial.